US equities are holding up as global corporations despite the mixed economy, find leaders finally surging ahead in Sales and growth at Ford, Starbucks and eve Amazon. The net result of this might be bearing on India too as weights might shift back in favor of the big rush in US equities to counter the initial down impact to growing interest rates. India’s results already destroyed by Dollar moves even as exporters fail to catalyze on the new opportunity with current goods, the markets that have been and continue to support higher values on the eigenvalues of growth seem to want to give in to pressure to develop the fangs required for a big equity move north more than bearing south. The Banknifty corrected fast to below 10500 after Thursday and thus is spirited for a north move but has probably squeezed the wrong bull or two which remain the important bearers of Options liquidity across global markets, writers “capitalizing’ on the lack of buyers with prices quite out of subsumable range factoring in their safety in higher prices, that refuse to let markets and VIX become an enabler to trends. Apart from these silent trend breakers, that usually provide no barrier to any defined move, markets are getting bearish just from the wait. 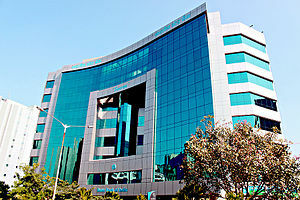 The policy announcements today by being in the continual mode will further drive the north move in the Banknifty and ICICI Bank, probably HDFC Bank better than most, and even SBI and PNB whose results were no disillusionment of its backers, SBI and other PSU banks continue to shock most headline followers through 2014 and 2015 as they continue the long drawn process of declaring their backed up system NPAs holding out media hope of starting the up cycle all the time thru at least December 2013. Forex reserves are down slightly at $279 bln and China order activity is the slowest as Asia starts the week in deep red territory. The Rupee could not hold north of 59 levels and still holds negative risks south with trade deficits now proving to be crucial data points for every dollar north or south counting in days of plus and minus moves of significant size(30-40 Nifty points) or in flash corrections on either side, worrying economically intelligent traders even more into a flat dropping market zone.